On the evening of October 24, Samsung launched two new mid-range products , Galaxy A9s and Galaxy A6s , in Xi’an . Galaxy A6s 6GB+64GB, 6GB+128GB , offering four colors of sang black, koi red, flower blue, and flower purple, among which flower purple and flower blue are gradient colors. . The machine adopts double-sided glass design, using nano vacuum optical + UV superposition process, with the new technology of structural color coating, the outstanding value. In the core configuration, the Samsung Galaxy A6s uses a 6.0-inch 18:9 display with a Qualcomm Snapdragon 660 processor and a battery capacity of 3,300 mAh. In addition, Samsung Galaxy A6s front-mounted 12 million pixel camera, support for face recognition. Rear 12 mp + 5 mp double shots, support for rapid focus, dark light shooting is also clear. According to the official introduction, the Samsung Galaxy A6s rear lens can be used to blur the photos when taking pictures and after the photo is taken, showing the style like SLR. 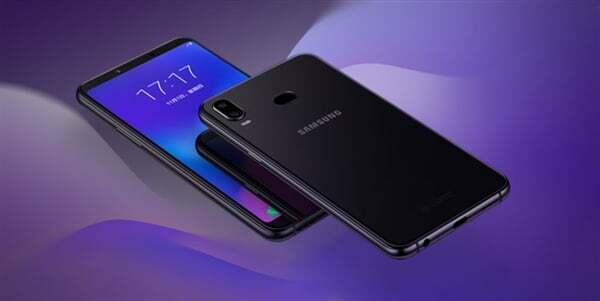 In summary, compared to the Galaxy A9 Star, Galaxy A9 Star Lite and other models, Samsung Galaxy A6s cost-effectively increased, the device has now opened pre-sale.